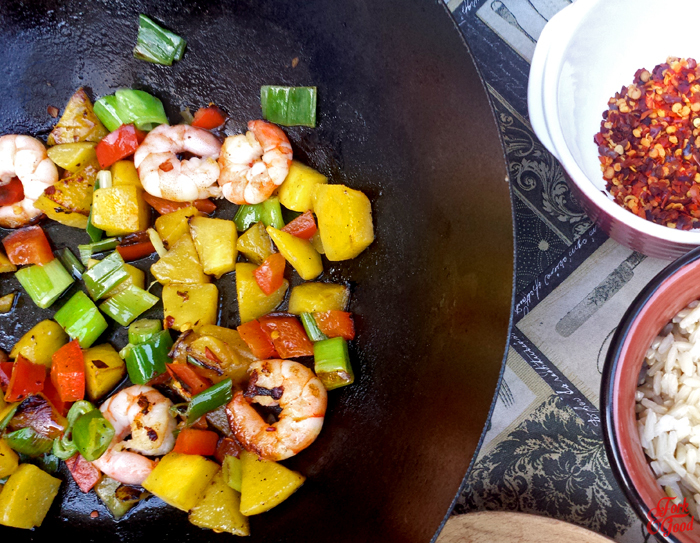 Chilli, Prawn and Mango Stir-Fry. - Fork and Good. 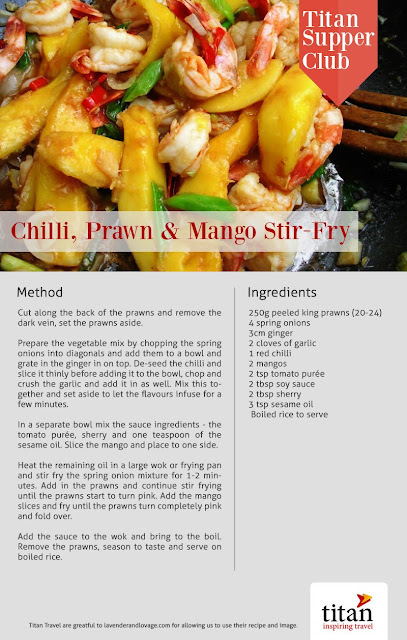 Home cake eat Healthy Lunch Quick and Easy recipe recipes review Chilli, Prawn and Mango Stir-Fry. 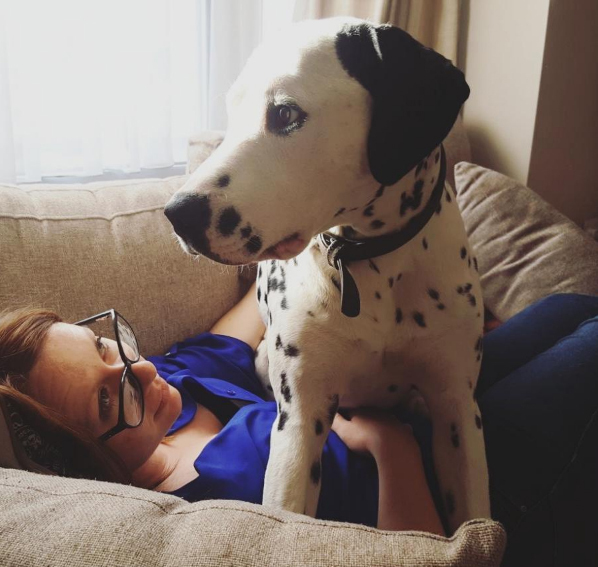 I don't like to moan on this blog, mainly because I hate moaning in public and also because when I'm feeling lots better I read it back and want to slap myself. But damn, this last month has been pretty hectic. So last night, a night in with good food, was the perfect remedy. 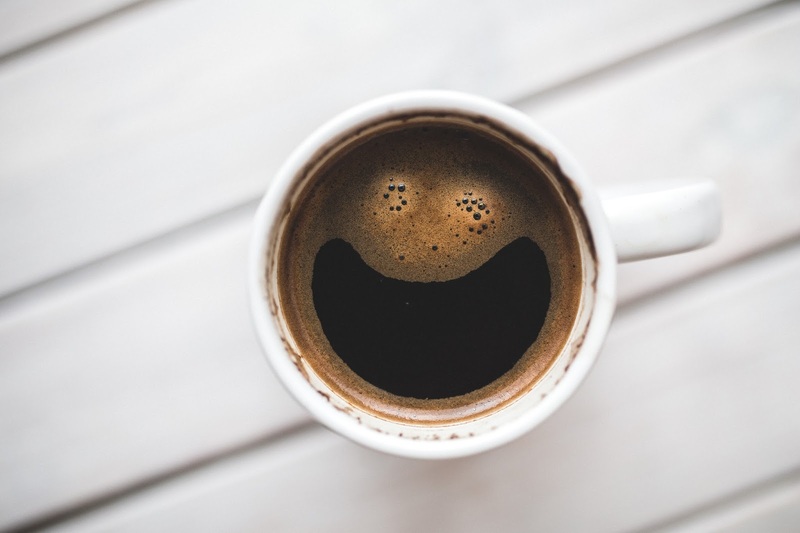 Titan travel provided me with the recipe for what's on the old blog today, so I'll post the recipe a little further down. I sometimes, really just need to follow a recipe rather than use the brain power to make something up myself. I've not posted a recipe that wasn't my own on here before, and I have to say, it's quite refreshing to make and review something that wasn't created by me. Well, the fiancee hates prawns, and sweet stuff in his food. So I decided to make a girls night out of it, inviting my Mum, Aunt and and an awesome friend round to sample the dinner instead. Plus, we totally had pudding and went to the cinema after. But that's a different story. Well, actually maybe not, that's pretty much the whole story right there. It was probably one of the easiest meals I've prepared for myself and others in a long time, but it also tasted amazing on top of that. I'm a big fan of fruit in savoury dishes and to top that off I'm also a sucker for prawns and spice. So me and this meal were pretty much made for each other. It went down really well with the ladies too (well that sounds like a seriously pervy statement) and every bowl was scraped clean. The biggest compliment seemed to be that the mango has sort of caramelised to this sticky sweet texture. Had to admit it was one of the best parts of the recipe. Smelt pretty good too! My only distaste was the lack of veggies in the dish. I had to add a bit of red pepper in there, and after eating it I thought maybe some carrot, or even a bit of pak choi woulda been nice. But that's a pretty small complaint in what was otherwise a really nice dish! Right. I would babble on more, but I've got four cakes on next week, on top of two jobs, planning a wedding and somehow fitting eating and sleep in there. Here's a wee sample of some cakes I made for last week. 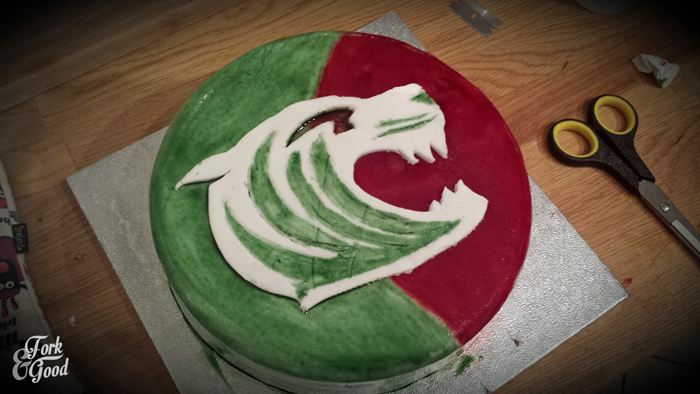 For my Aunt: Not quite finished but a strawberry sponge of her favourite rugby team. 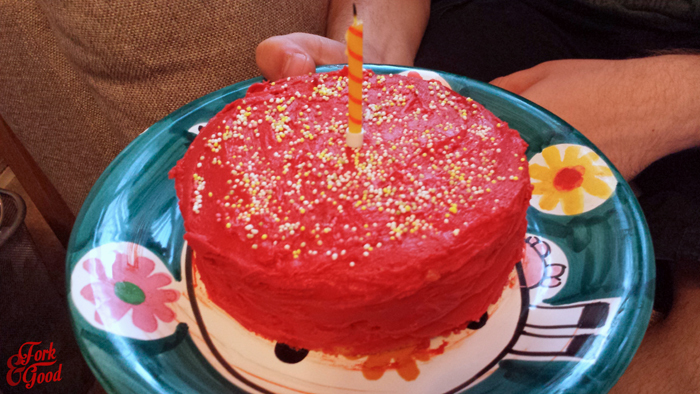 For Phil: A mini strawberry and salted caramel party cake. On a cow plate. Oh hell yeah! 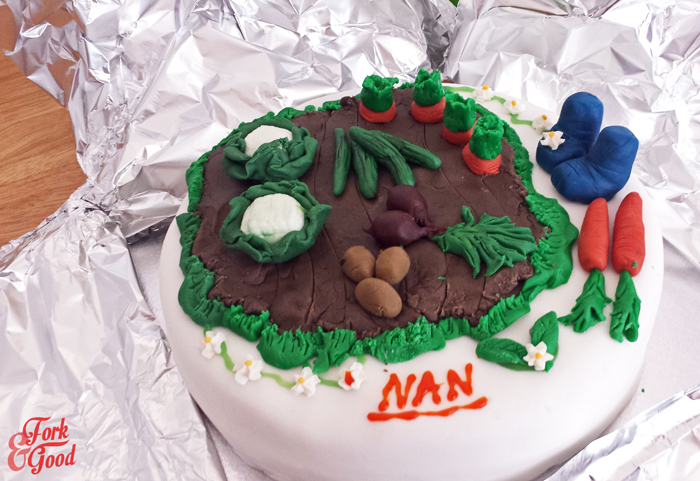 For my nan: A blackcurrant and vanilla sponge with allotment icing. Made with the boy. You might not hear much from me these next few weeks, I'm doing another few birthday cakes next week, plus a wedding cake for some really good friends of mine and to top that off it's the fiancee's birthday and our one year house-a-versary. One whole year with my beautiful red kitchen. 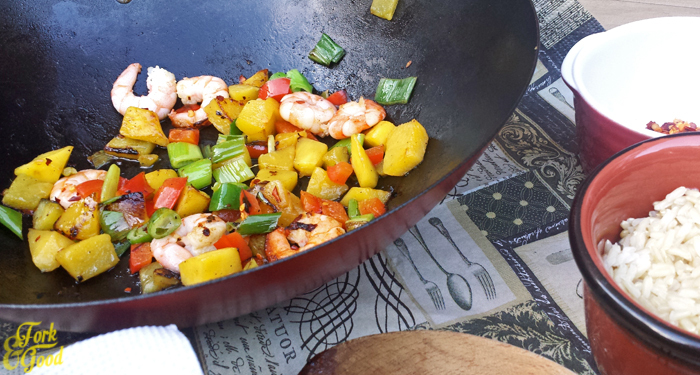 A simple and delicious late summer stir-fry, Emma. I love the cake for your nan. I love the dish with the prawns, it sounds tasty. I also love the cute cakes you make. It sounds like you had a nice evening with the ladies. Hope you are doing well. Ooh it was lovely, thank you! Ooh I could use the leftover mango I bought for my trifle to make this... and I think pak choi would be a great addition too. But I'm afraid I am one of those people that as soon as Summer ends, I'm looking forward to Christmas (yep, one of THOSE people) I'm all about Autumn and Winter, so long Summer! we were just saying the same thing about Halloween here in the US! I can't believe they have candy corn out already. I love your cakes!! The one for your nan is incredible!! Those beets, well everything looks so lifelike!! Great job. Oh and hello where was my invite to girls dinner?? ;) looks great. Oh goodness, that dinner looks PERFECT! I really love the mango addition... mmmm! this look really delicious!I love prawns and love also the cakes! Great looking cakes! The gardening one is my favourite, especially the beetroot! Sounds tasty and looks amazing! Simple yet delicious dinner; that sounds like a wonderful review. A movie with the girls tops it off nicely. The cakes look great. It sounds like a very busy week. Please take time to enjoy and breath. Everything will work out beautifully I am sure. ahhh what those cakes are aweomse! :) busy busy! looks inviting, mouthwatering, delicious and so easy to prepare!